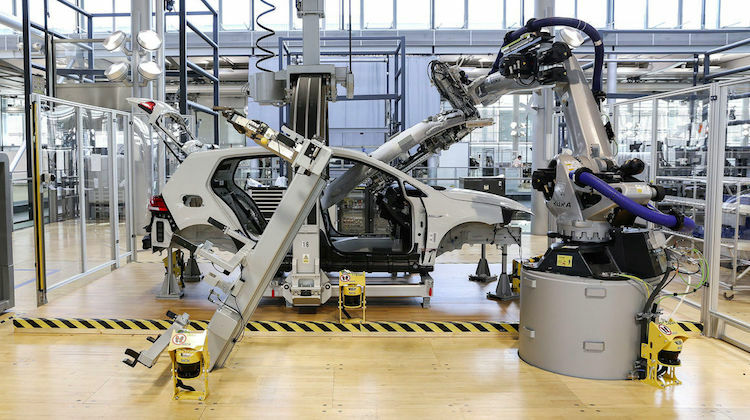 Volkswagen Group’s pilot factory in Dresden, Germany, is experimenting with the new technology, which involves the use of a giant robotic arm. This arm picks up an already trimmed headliner board and slides it into a vehicle cabin through the front window. It then clips the board in place. Volkswagen is currently using the technology to install headliner boards in the e-Golf. However, it plans to expand its use to production of the all-electric ID. Of course, this isn’t good news for factory workers, who are likely to see job opportunities decrease as automation increases. But it is fascinating to watch the robotic arm in action. It looks like the clips aren’t going to come out with out a fight. What happens when the headliner needs to be recovered can the robot do that? Real easy when the front window is out of the car..And lets see it recover one..